COLOURlovers spend countless hours creating amazing Patten Templates using Seamless Lite. Today, we are happy to announce some amazing new feature updates to the in-site seamless pattern design process. Along with the new features, Seamless Lite has been given some big love and a smoother, speedier designing experience should be noticeable. 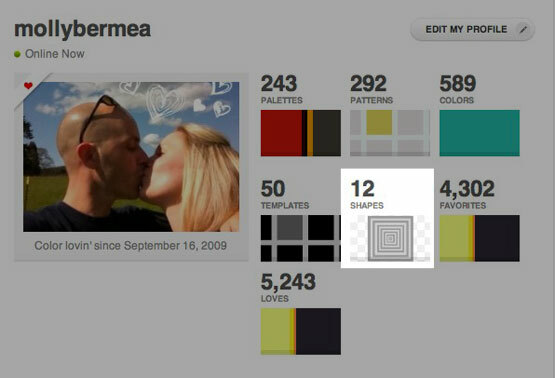 How-To: Custom Shapes + Shape Gallery from COLOURlovers on Vimeo. 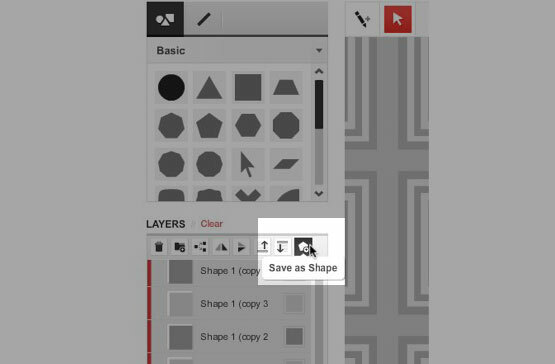 You can now save individual elements using the newly installed “Save as Shape” tool. This will allow you to keep those wonderfully complicated design elements you have been creating for a single Pattern Template. 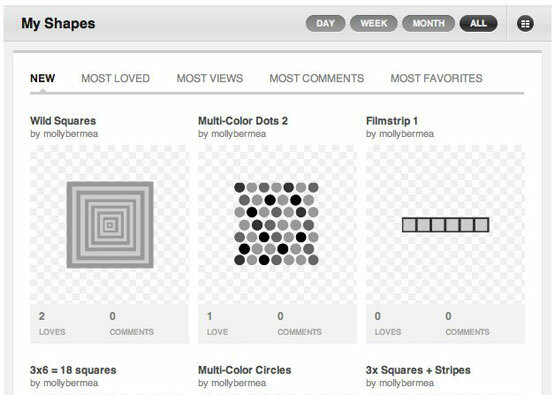 Only NOW, you can re-use those awesome pieces in any number of Pattern Template variation by using, “My Shapes” located in your Shapes Library on Seamless Lite (when you are logged in). 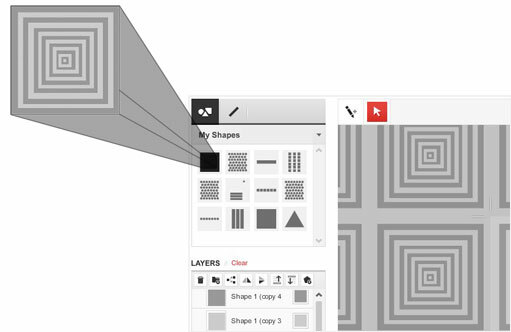 How To Use "Save as Shape"
Select your shape layers and click, Save as Shape" in the layer tools area. Preview your shape element, give it a title, description if you want, tags and then Save Shape. That simple! At this point, shapes cannot be shared with one another (unless you do that privately - it's your choice). Shape Galleries: A Place to Show Off Your Abilities! 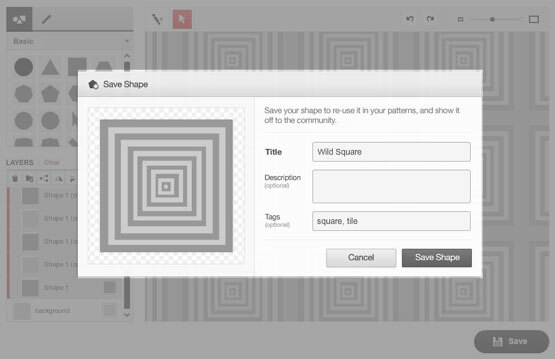 A new gallery for all of your custom shapes, will be added to your profile page the moment you create and save your first shape with the "Save as Shape" tool. 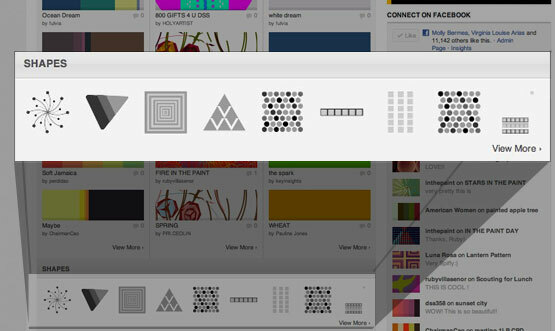 Gallery view of your shapes allows the same filter-view options as other creations on the site. Each shape has its own information page just like the other creations on CLCOLOURlover.com. 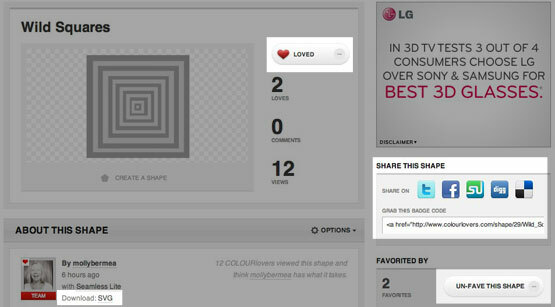 Everyone has the ability to LOVE, FAVE and SHARE this shape made by you! Additionally, you have the ability to download the .SVG file, located under the, made "with Seamless Lite" link and DELETE or EDIT the shape profile under the OPTIONS drop-down. Shapes will also stream on to the homepage of COLOURlovers.com as they are being created. So let's see what you got?! frizzstudio.comHi! I'm the COLOURlovers Community Curator. I come from a family with five imaginative kids. My mom instilled creativity to the max and you can usually find us scheming together, figuring out new ways to sew, craft or build DIY projects. The core of my artistic bone is in the art of painting. Okay I hope I am not asking something that has been said bc I did not have the time to read everything. I just purchased seamless studio and I love a lot of shapes here in the shapes library. Am I able to use or dl them to use on ss?